HID Global to demonstrate iCLASS at Internet Tech Exhibition in Washington, D.C.
Congressional leaders and staff, members of a UK Internet group and others will get a first-hand look at HID Global’s iCLASS smart card technology during next week’s Congressional Internet Caucus Advisory Committee Technology Exhibition in Washington, D.C.
IRVINE, CA.–HID Global, a leading manufacturer in the access control industry, will demonstrate its iCLASS 13.56 MHz smart card technology at the 10th Annual Congressional Internet Caucus Advisory Committee Kickoff Reception and Technology Exhibition, January 31. The Tech Exhibition event will highlight some of the key issues driving policy-making in the 110th Congress. Hands-on demonstrations of the latest technologies in hardware, video content, biometrics, consumer electronics and more, will help illuminate these debates and possible solutions. 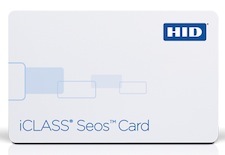 HID’s 13.56 MHz iCLASS contactless smart card technology enhances security through data encryption and mutual authentication between the card and reader. Optimized to make physical access control more powerful, iCLASS technology provides versatile interoperability and is used in diverse applications including access control, biometric verification, first responder/handheld products, PC secure log-on, time and attendance, point-of-sale/cashless vending, and intercom and other applications. The Internet Caucus Co-Chairs, Senator Patrick Leahy and Congressmen Rick Boucher and Bob Goodlatte, will review the technology issues they feel will be drivers for Internet innovation and policymaking decisions. The Internet Caucus Co-Chairs will be joined by Members of a UK Parliament Internet Group (EURIM). This event will be widely attended by Internet industry and non-profit representatives, Members of Congress, congressional staff, media, and staff from independent agencies. The Congressional Internet Caucus Advisory Committee is a diverse group of public interest, non-profit, and industry groups working to educate Congress and the public about important Internet-related policy issues. For more information on the kickoff, visit: www.netcaucus.org/events/2007/kickoff/. HID Global is a leading manufacturer in the access control industry, serving customers worldwide with proximity and contactless smart card technologies; central station managed access controllers; secure and custom card solutions; digital identity and photo card management software solutions; and secure card issuance solutions. Headquartered in Irvine, California, HID Global operates international offices that support more than 100 countries and is an ASSA ABLOY Group company. To learn more, please visit www.hidcorp.com.